Colne Valley Retail Park, which is held freehold, was originally developed in 1989 and was substantially refurbished in 2002 to provide two detached retail warehouse terraces split into five units. Further development has brought the total number of retail units to seven. The units are of steel portal frame construction with part brick, part steel profiled cladding facades, incorporating steel profiled roofs and prominent signage canopies. 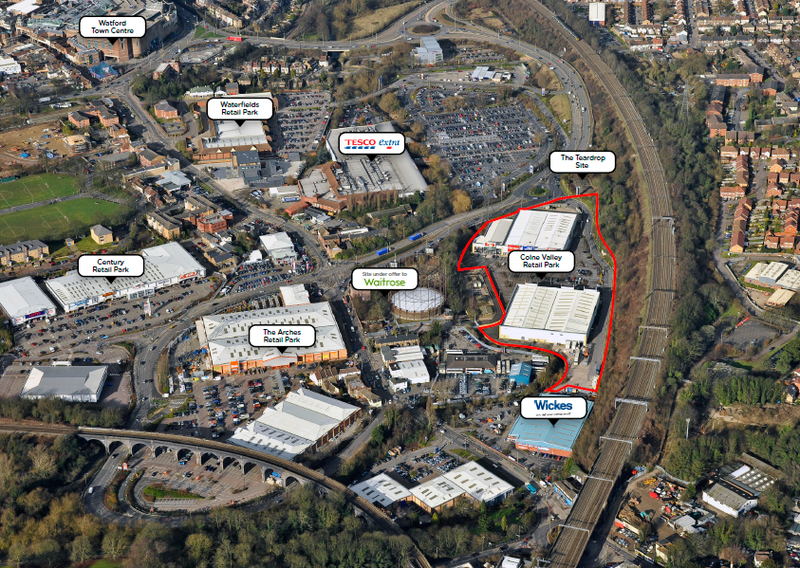 The Park is situated in a highly prominent position at the core of Watford’s retail warehouse provision. 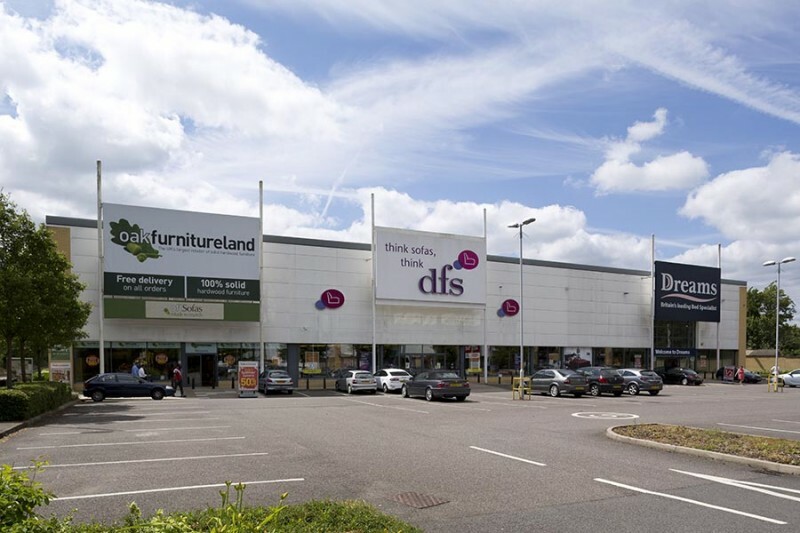 The tenants include DFS, Carpetright, Tapi, Oak Furniture Land and Harveys. The leases generally have over 10 year unexpired terms. First Alliance Properties sourced the off-market investment opportunity and purchased in a joint venture with an equity partner. First Alliance Properties is also the designated asset manager with responsibility for conceiving and implementing the business plan. Day-to-day property management, accounting, tax, cost consultancy, architects and planning consultancy are outsourced. Improved planning consent for development of a new unit from 3,714 sq ft on ground floor to 4,463 sq ft on ground floor plus a 2,650 sq ft retail use mezzanine. 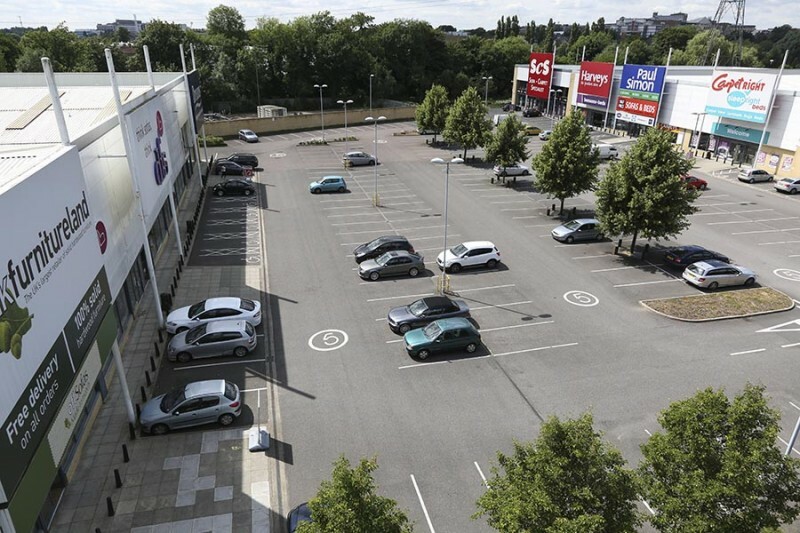 Realigned car parking spaces to create an additional 22 spaces to give a total of 296 spaces. Improved landscaping and appearance of external facades funded through the service charge. Successfully re-let 6,248 sq ft storage unit to the rear of Unit 1c on a new flexible lease with a 25% rent increase on the previous rent. Successfully re-let Unit 2b to Tapi following void created by demise of Paul Simon. Long term potential to return Unit 1c, the 6,248 sq ft storage unit, back to retail use. Let vacant Unit 2b (rear), which totals 2,400 sq ft, to a storage user. Currently investigating purchase of neighbouring ‘Teardrop’ site. Secure new tenant by Agreement for Lease and then build new unit for which planning has been improved. Continue process of improving signage.